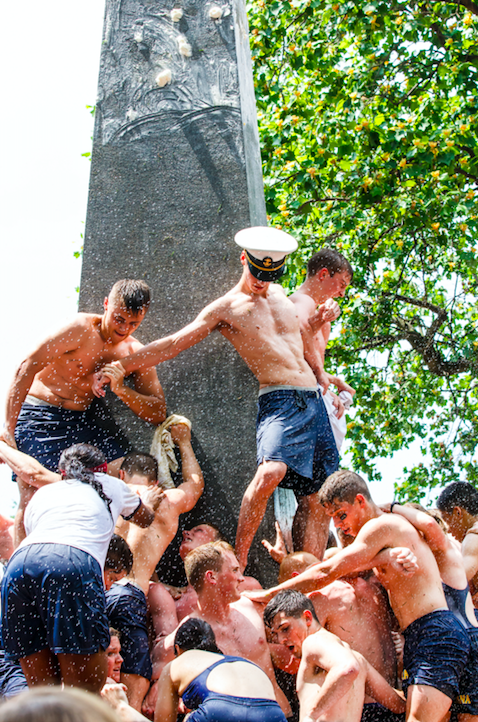 Every spring, the first years at the Annapolis Naval Academy have to prove themselves by getting almost-naked and climbing a lard-covered monument to place an uperclassman’s hat on top. 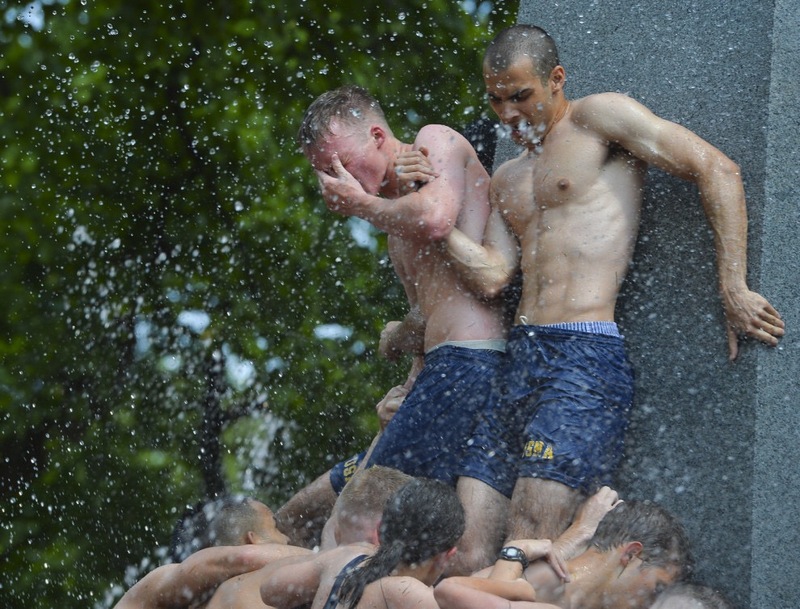 The event is known as Herndon Climb. Hands grab. Feet step. Groins slide and rub on each other. 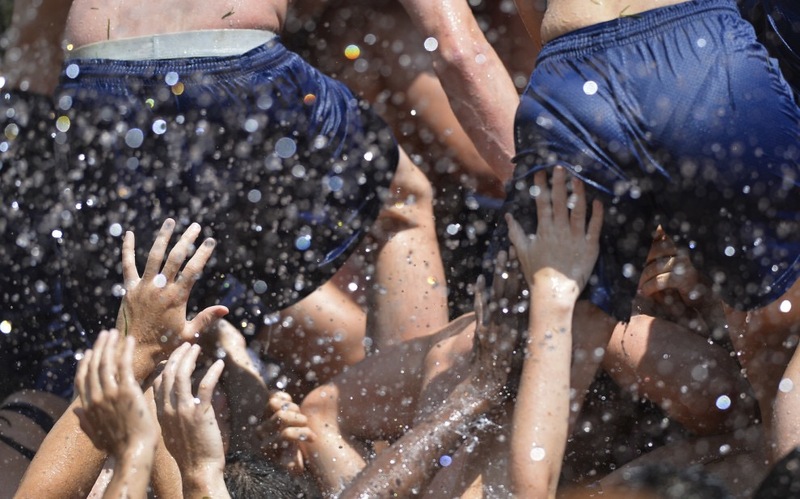 They get hosed down. Rinse. Repeat. You get the gist. I cover this event every year with baited breath. 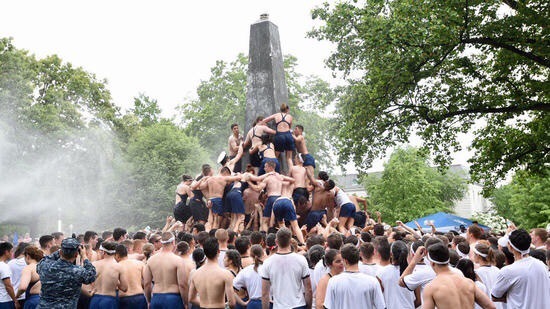 And, without further adieu, here is the 2017 Herndon Climb. 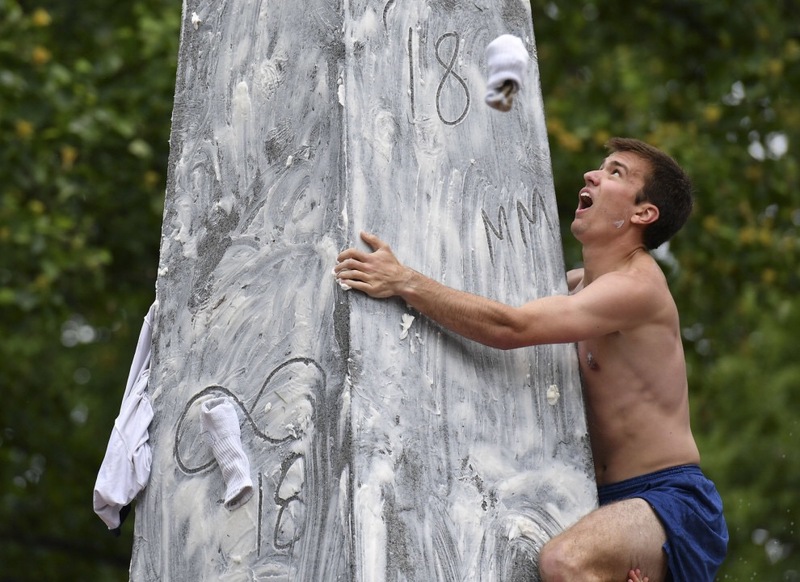 Tags: Herndon Climb, shirtless twinks. Bookmark the permalink. Thank you!!! I watched a 36 minute video of this event and some of the views, like here, i wished i had photo. This collection will do great! 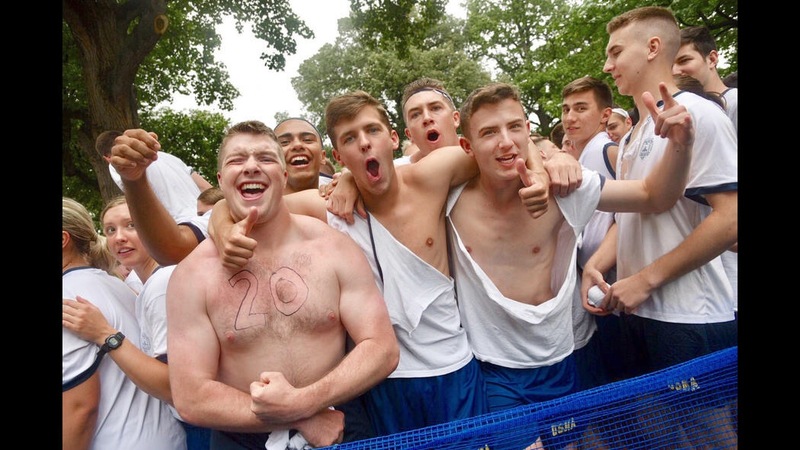 Only one photo i still wish i had was of one of the plebes somewhere was smiling as much as i was. That was one for the books!